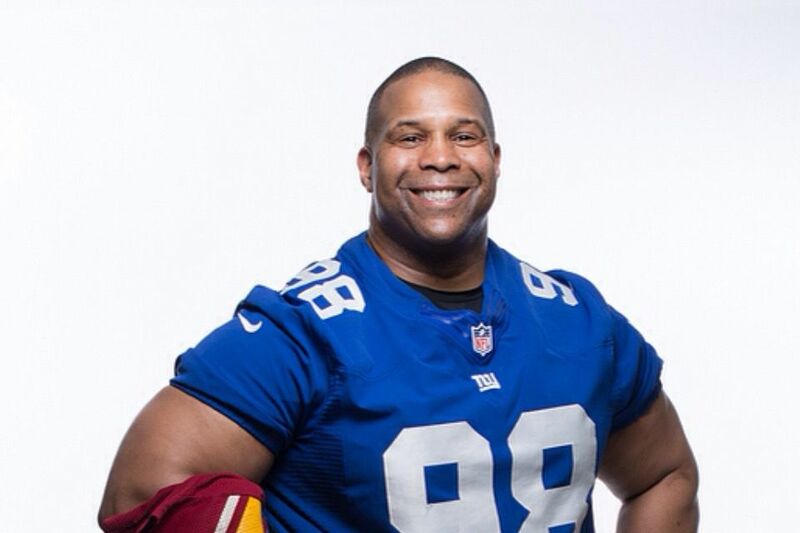 Keith Davis, 51, is a former NFL player for the New York Giants and was a collegiate athlete for the University of Southern California whose team won two Rose Bowls. He owns a Dallas-based motivational speaking company and tours the nation and world on a mission to inspire and educate children on the value of physical activity and importance of striving academically. He will be the keynote speaker at Saturday’s McAllen Kids Marathon Kickoff, which begins at 8 a.m. at McAllen Veterans Memorial Stadium at McAllen High School. The event is co-sponsored by The Monitor. It is free to all and children ages K-8th grades will run (or walk) their first mile together as they embark on their marathon journey. The children will run their final mile on Jan. 20, 2018, at the McAllen Convention Center in conjunction with the McAllen Marathon Scott Crane Memorial Run. All children will receive a finisher’s medal. Davis spoke at the Kids Marathon 2016 Kickoff event and explains below why he is returning and bringing a special friend. For more information on the McAllen Kids Marathon, go to: www.mcallenkidsmarathon.com. Q: You’re returning to the Rio Grande Valley for a second year to help launch this year’s McAllen Kids Marathon. Why are you returning and what impressions do you have regarding this event based on your visit last year? A: Last year I saw one of the most impressive events that I’ve ever seen in the nation in terms of kids’ participation with not only physical activity but excitement and community involvement that is centered around exercise and education. It just created a healthy atmosphere overall and included family involvement and community involvement in terms of schools, and other organizations contributing. I’ve traveled a lot around the world and it was really impressive. 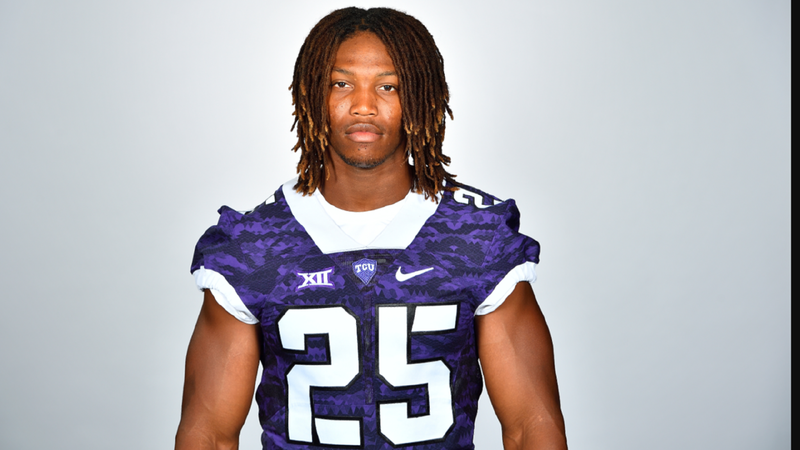 Q: This year you are bringing Caylin Moore, tell us about him? A: Caylin is 23 and plays for Texas Christian University and is a Rhodes Scholar. I don’t think many kids get the opportunity to even hear a Rhodes Scholar, and just to make them aware of how prestigious that scholastic achievement is and the competition he went through to achieve that stature. Secondly, his story ties so much into physical activity and education. He plays football for a Division I college but when he speaks you’ll see what I mean. He’s from a very, very poor part of Los Angeles. He shares a story when he would come home his mother would say, “I don’t have enough money to feed you and your little brother and sister,” and so he would take his hunger pains to the garage and do pushups until he passed out. He took that same kind of drive academically to become one of the most impressive scholars in the nation. His story is just so relevant to young people today especially those growing up in environments where mom and dads are not privileged. He’s just a story of pursuing excellence. Q: A large part of your motivational message has to do with education. What role does exercise have in the pursuit of education? A: Exercise helps in every way. I think we would have a lot less cases of ADD and ADHD if exercise were a daily part of a kids’ lives. Now with the way budget cuts are going, cutting PE, it’s so important. It helps young people with their self-esteem. It also helps with a national problem we have with childhood obesity. It helps with overall coordination of a young person’s body. It helps give them traits that will help them their entire life. When you look at the human body. It was created to move and not sit in front of a screen. So anything that can help a young person go on the court and on the field is positive. Q: What do you think about the McAllen Kids Marathon training program? A: It’s great because it creates consistency and a daily plan of action and activity. So even the kids who do the mile at first then they form a plan of action where, ‘OK we’re going to do two laps a day or one mile every week.’ It’s an organized plan of action that will help them understand the importance of physical activity. And the kids are so excited. The plan that they have is very good. Their mother will go out and walk the laps with them. They are all involved with this organized exercise plan. A lot of health issues we have could be helped by physical activity. We have so many diabetes cases now, some in very young people. Physical exercise burns sugar in the blood and can be one of the things that helps alleviate health issues that young people in our nation are having. And it adds to self-esteem, especially in junior high children. I hear from a lot of young ladies on my Instagram account who shoot me messages about body issues. I think it just helps to have a better overall perspective of yourself and how you feel about yourself. It ties in mind, body and soul together when you begin exercising consistently. Q: What do you think about McAllen? A: The people in McAllen are wonderful. I’ve been going there for years. The people are so hospitable. It’s one of the nicest cities in the nation. And they have the best food. There’s a platter (the botana)that I think you can only get in the Valley. Q: Are you concerned with the state of exercise today and what can communities do to help? A: At one point kids would play games of hopscotch, dodgeball, and jump rope. Physical activity was a part of kids’ everyday life. My wife, Sara Parros-Davis, coached track and field at UCLA. She is an All American sprinter and ran with Jackie Joyner-Kersee and Flo-Jo, (Florence Griffith Joyner). As a coach she had girls, college athletes, who didn’t even know how to jump rope. She was amazed that they didn’t even know how to jump rope. Imagine kids who grow up without any activity; imagine how they would even become collegiate athletes. As a community, when people work together — businesses, parents, PTA and all other types of groups — we create health and a synergy and an energy and that’s what’s needed in our country. Sometimes we look for government to create something or for schools to do it alone, but our best programs come from an inception by our communities. Q: What is the most important message you want to tell children?